New Capital Health primary care office opens in Newtown - Times Publishing Newspapers, Inc. The new Capital Health Primary Care – Newtown office, located on 3 Penns Trail Road (a half mile away from the Newtown Bypass), is led by board certified physicians Dr. Robert Remstein, Dr. Jane Abdalla, Dr. Harmony Bonnes, Dr. Kelley Vandergrift, and Dr. Stephen Vanni, as well as certified nurse practitioner Angela Marchesani, who are available for appointments to provide check-ups, sick visits and preventive care for children and adults. 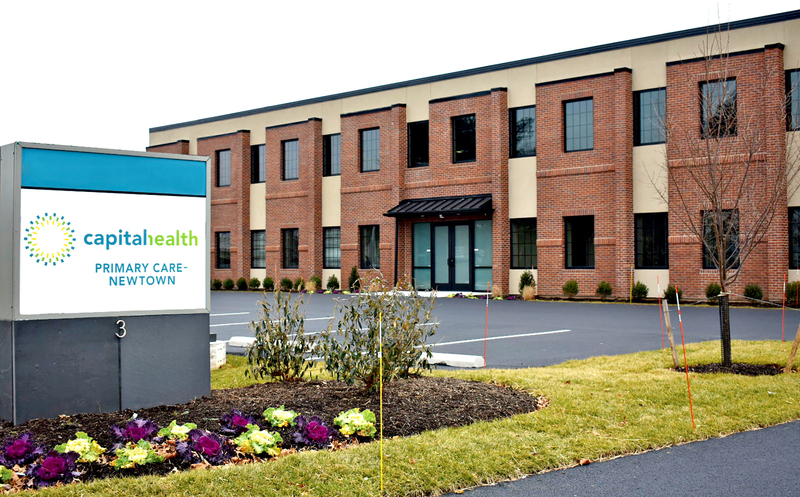 The new office is hosting an open house on Thursday, March 28th, 5:00 to 7:00pm, featuring light refreshments, tours of the facility and opportunities to meet the board certified providers from Capital Health’s new Langhorne, Newtown and Washington Crossing offices. All accept most insurances, including Independence Blue Cross and Keystone Health Plan. Hours at Capital Health Primary Care – Newtown are Monday, Tuesday, Thursday, and Friday (8:00am to 4:30pm) and Wednesday (8:00am to 7:00pm). Call 215.504.1761 or visit www.capitalhealth.org/primarycarenewtown.